I'm sure you will enjoy this. I never noticed that one word in the English language that could be a noun, verb, adj, adv, prep. This two-letter word in English has more meanings than any other two-letter word, and that word is'UP.' It is listed in the dictionary as an [adv], [prep], [adj], [n] or [v]. At a meeting, why does a topic come UP? Why do we speak UP, and why are the officers UP for election (if there is a tie, it is a toss UP) and why is it UP to the secretary to write UP a report? We call UP our friends, brighten UP a room, polish UP the silver, warm UP the leftovers and clean UP the kitchen. We lock UP the house and fix UP the old car. And this UP is confusing: A drain must be opened UP because it is blocked UP. We open UP a store in the morning but we close it UP at night. 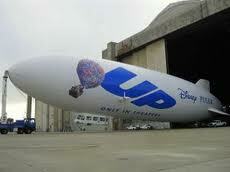 We seem to be pretty mixed UP about UP! To be knowledgeable about the proper uses of UP, look UP the word UP in the dictionary. In a desk-sized dictionary, it takes UP almost 1/4 of the page and can add UP to about thirty definitions. If you are UP to it, you might try building UP a list of the many ways UP is used. It will take UP a lot of your time, but if you don't give UP, you may wind UP with (UP to) a hundred or more. Oh . . . one more thing: What is the first thing you do in the morning and the last thing you do at night? Don't screw UP. Send this on to everyone you look UP in your address book . . . or not . . . it's UP to you. And get UP from the computer not to mess UP other daily routines !!!!!! Have a Nice day . . .We'll catch UP . . .